(Brussels, 19 October 2016) The 2016 EACA Euro Effies winners were announced in Brussels’ Cercle de Lorraine business club last night. 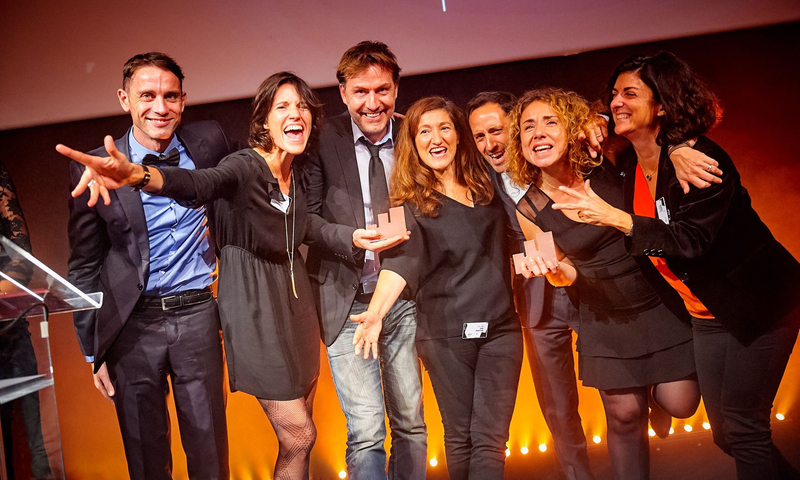 Ogilvy & Mather EMEA won the Euro Effie Agency of the Year Award. The Grand Prix for outstanding work was presented to The Brooklyn Brothers & Íslenska for their campaign Ask Guðmundur: World's First Human Search Engine, while the special EACA Past President’s award went to Wieden+Kennedy Amsterdam and their campaign “Tell me I’m not an Athlete,” created for NIKE. The Euro Effies awarded 26 trophies to 18 campaigns from 7 countries across Europe. The winners were selected by an international jury of senior agency and client representatives chaired by Dan Burdett, Head of eBay Labs EMEA. Agencies from the United Kingdom won 15 awards, Germany and Ireland won 3 each, and France won 2. Agencies from Denmark, Slovakia and Spain walked away with one Euro Effie Award apiece. Ogilvy & Mather EMEA earned the title of Euro Effie's 2016 Agency of the Year with a number of wins, including Gold in the Small Budget category, 2 Silver (Brand Revitalization and David vs. Goliath) and 5 Bronze (Government & Institution, Products/Service launch, Services (2), and Small Budget). The agency was also rewarded with €100,000-value of free advertising spots from Euro Effies partner, Euronews. Paul O'Donnell, Chairman & CEO of Ogilvy & Mather EMEA, commented, "Our ambition as an agency is simple - to ascend the 'twin peaks' of creativity and effectiveness. Of course, they are actually two faces of the same mountain. Ultimately, as David Ogilvy said: 'We sell or else'. In the spirit of this, to be Euro Effies Agency of the Year, after our outstanding performance at Cannes this year, is very, very gratifying. We thank the jury and everyone at EACA for this endorsement on the 20th Anniversary of the Euro Effies." The prestigious Grand Effie was presented to The Brooklyn Brothers & Íslenska for their campaign Ask Guðmundur: World's First Human Search Engine. Through their humorous approach and a creative solution based on the importance of local and human knowledge, they generated the largest and fastest growth of Icelandic tourism ever. For the second time, the Euro Effie Awards presented the FEPE International Out Of Home Award, this year to WPP Team Huawei / Ogilvy for their Touch. Made Powerful campaign, in recognition of their exceptional use of out-of-home to drive image and so create the sense of a world class technology brand. The Euro Effies started in 1996 as the first pan-European advertising awards that were judged on the basis of effectiveness. The Effie has grown to become a symbol of marketing communications effectiveness around the globe. To honor this, some of the past presidents of EACA came together to pick their favorite Grand Prix from the past 20 years. The Past President’s award was presented to Wieden+Kennedy Amsterdam for their campaign “Tell me I’m not an Athlete,” created for NIKE. The Euro Effies are organized by the European Association of Communications Agencies (EACA) in partnership with Euronews with the support of Google, Kantar Millward Brown, The European Publishers’ Council, WARC, Adforum.com, Procter & Gamble, Nielsen, Bacardi-Martini, creative brief & Viva Xpress Logistics. The European Association of Communications Agencies (EACA) is a Brussels-based organisation which represents full-service advertising and media agencies and agency associations in Europe. EACA aims to promote honest, effective advertising, high professional standards, and awareness of the contribution of advertising in a free market economy and to encourage close co-operation between agencies, advertisers and media in European advertising bodies. For more information, visit here.